Of all the things you can do to maintain a healthy mouth, ﬂossing has got to be the least expensive! But many patients don’t take the time to ﬂoss. And if you do, you might not be doing it correctly! Your toothbrush isn’t enough to brush away the plaque that can build up between teeth and at the gumline. A complete dental routine includes both brushing and ﬂossing. How often should you ﬂoss? Once a day is ideal. Believe it or not, ﬂossing more often (or with more rigor) can damage your gums. The only exception to once-a-day ﬂossing is if you need to remove pieces of stringy or sticky foods that get stuck after eating. Don’t leave those in there too long. Should you ﬂoss before or after brushing? Either one is ﬁne! 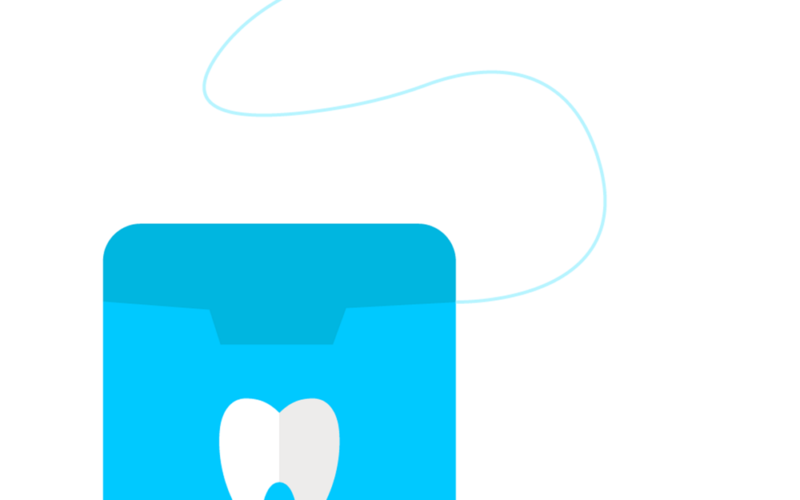 The bottom line is that best time to floss is the time that fits well with your schedule. Pull out about 18 inches of ﬂoss (any brand is ﬁne). 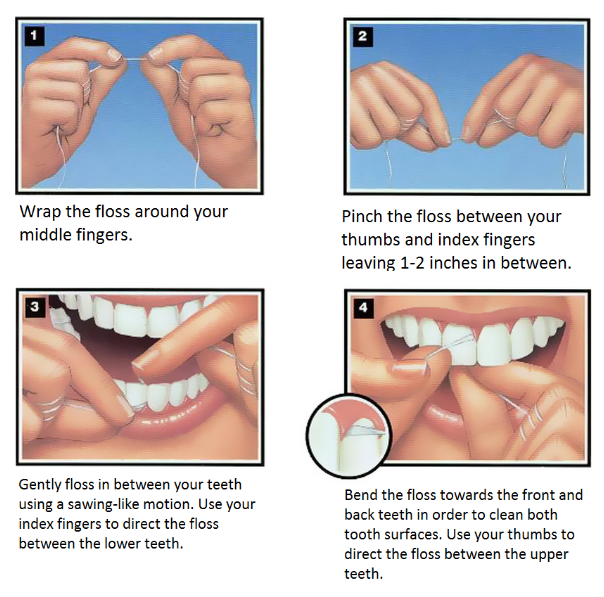 Wind the ﬂoss tightly around your index or middle ﬁngers on both hands so that the ﬂoss between your hands is taut. Slide the ﬂoss between each set of teeth that touch, as well as where your last molar meets your gums. Slide the ﬂoss up and down the teeth, following the natural curve of each tooth in a “C” shape. Imagine the ﬂoss giving each tooth a little hug! Floss between teeth and where your teeth meet your gums. Use a new clean section of ﬂoss for each set of teeth. For a helpful infographic, take a look at the illustration below. You can also ask one of our friendly hygienists to show you how to ﬂoss at your next visit. Can’t ﬂoss? If arthritis in your hands or another condition prevents you from ﬂossing adequately, consider a dental pick, oral irrigator, or electric ﬂosser. We often carry these products in our office and would be happy to show them to you during your next visit. Give us a call at 717-938-1811 or ask about options at your next visit! We will help ﬁnd a solution for you! At Beautiful Smiles Family Dental Center in Etters, Pennsylvania, Dr. Graver offers many techniques to keep your smile beautiful! We are always concerned about your comfort. Please call us if you have any questions about how our services may benefit you or someone you know. Can Stress Affect My Oral Health? Please note that Beautiful Smiles Family Dental Center is a no-pet, no-animal facility. All content © 2018 Beautiful Smiles Family Dental Center. All rights reserved.